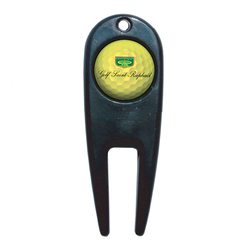 Our custom golf ball marker / magnet repair tool, divot fixer, strongly holds a 3/4” full color domed metal golf ball marker and comes with our “Executive Style Packaging®” for additional impact to all golf promotions . 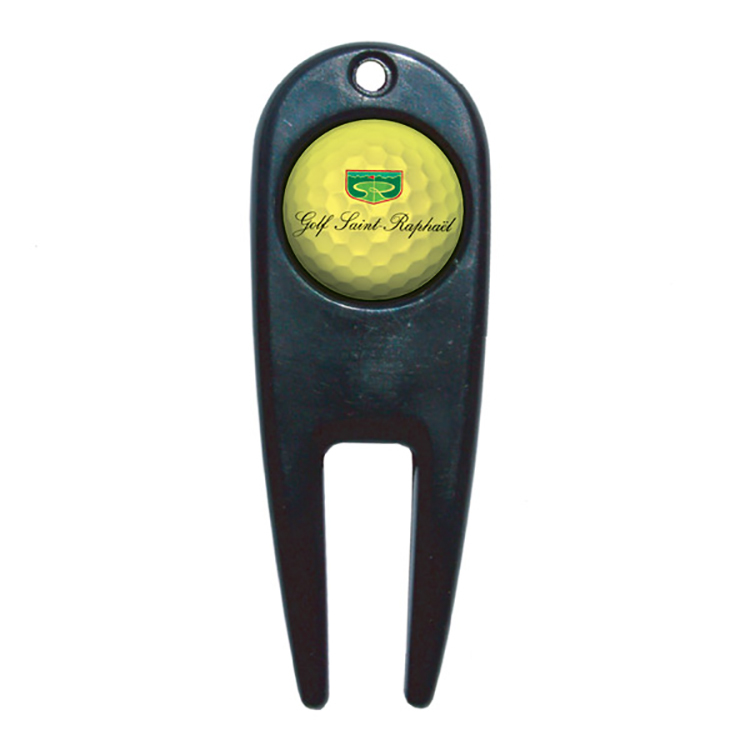 This golf accessory is the perfect executive gift, providing exceptional golf promotion effectiveness and is excellent for golf tournaments, golf events and golf sponsors. 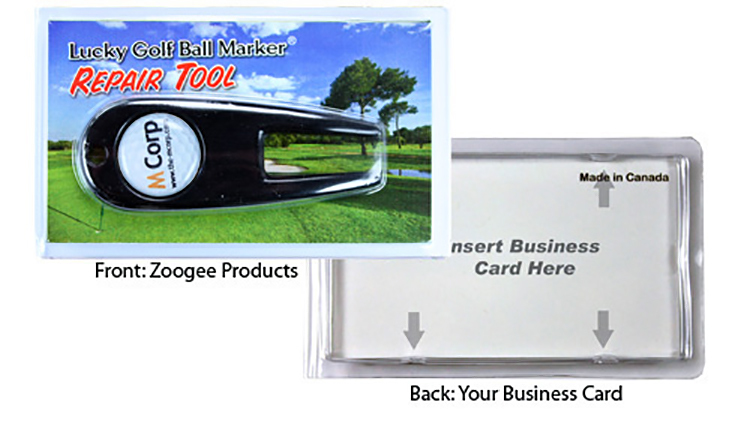 Can also be used as a souvenir, novelty, tradeshow gift or for fund raising promotions.